Earners of this badge know what Docker containers are and their benefits. The individual knows how to run containers from Docker Hub, create Docker containers, and how to solve basic problems of orchestration (reconciliation, scaling, high availability, service discovery). 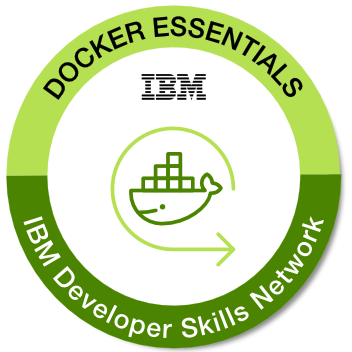 The badge earner also understands best practices for using DockerFiles and the basics of how to use tools such as the IBM Cloud Kubernetes Service. Completion of the course "Docker Essentials: A Developer Introduction".